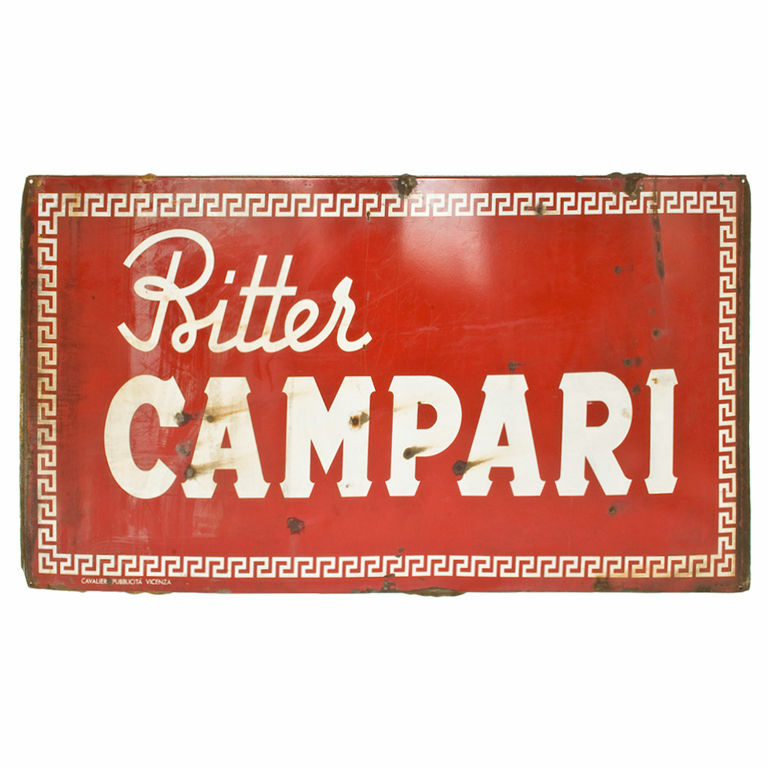 Retro Trend Vintage: HVAC + Campari = An Actual Blog Post! HVAC + Campari = An Actual Blog Post! Changes are afoot here at the Haus of Retro Trend. As in the original 1961 oil furnace. Note the cool Shell "Fuel for modern living" logo inspection sticker, with inspection dates from 1974. Not to mention gauges, upgrades, and modifications, oh my! A lovely, brand new series of heat pumps and air conditioners are being installed as I type. And you know how this pale, heat sensitive gal feels about air conditioning. Nearly equally as exciting is my early anniversary present, which is scheduled to arrive this Sunday. It's a 1950s metal Campari advertising sign. That happens to be 6' 5" in length. Yeah. Hell yeah. Back to a house full of workmen, a kitten trapped in a bedroom (for her own safety), and dark chocolate. Not to mention plans for a well- deserved relaxing weekend. you've got a real retro photo there.. The great comment vs. compliment debate.